Wide leg pants. You either love it or hate it. Many people fear that the exaggerated trousers won’t flatter their body type. 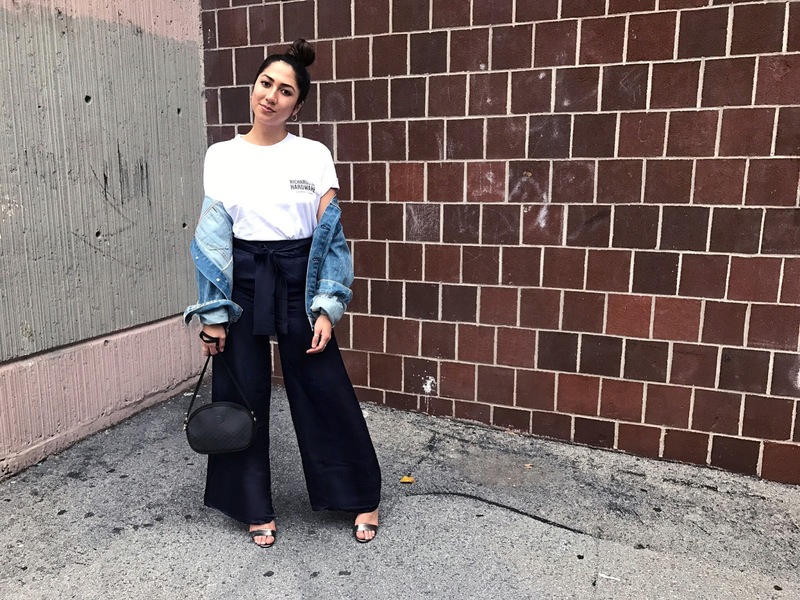 True, these voluminous culottes can make you look boxy, wider, and most of the time shorter, but once you figure out the secrets to rocking wide leg pants, you’ll want to trade in your skinny jeans and finally give your legs a break. 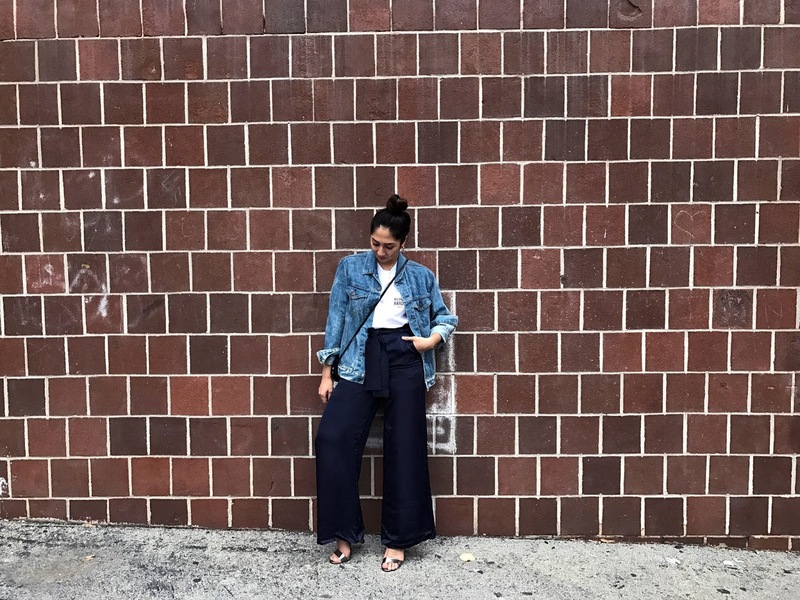 The number one rule to wearing wide leg pants is finding the right wide leg pants. 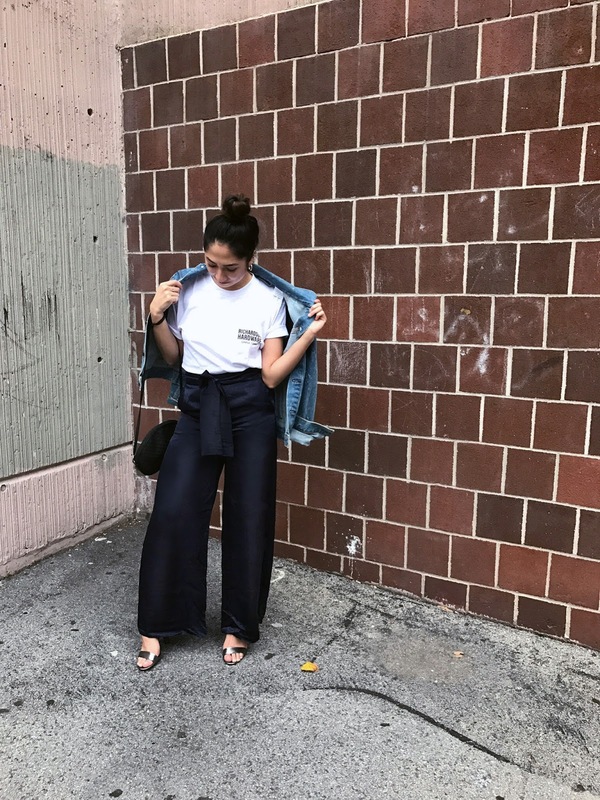 Depending on the length, fit, and where the trousers sits on your waist/hips, wide leg pants can either drag you down or make you look effortlessly cool. 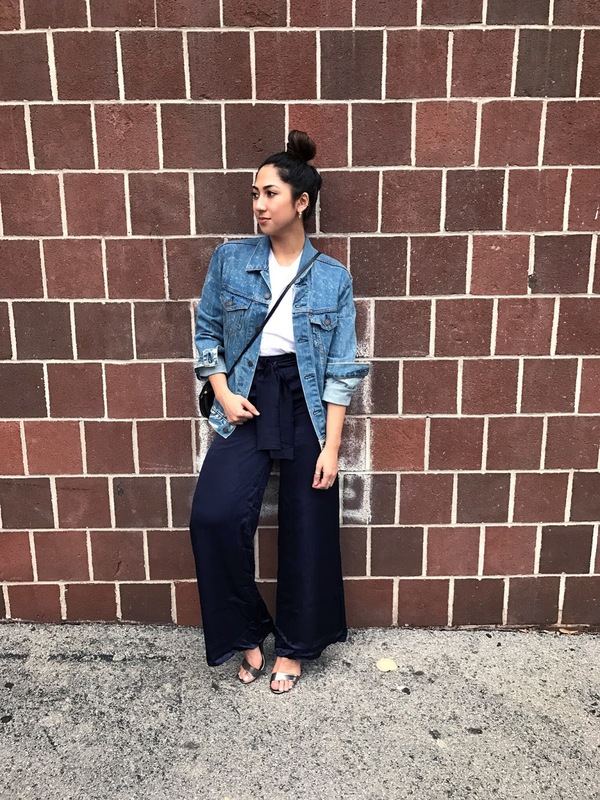 Being 5’3" with a short torso, I always look for high rise wide leg pants with a belt/wrap, just like my favorite go-to pair from Tobi. 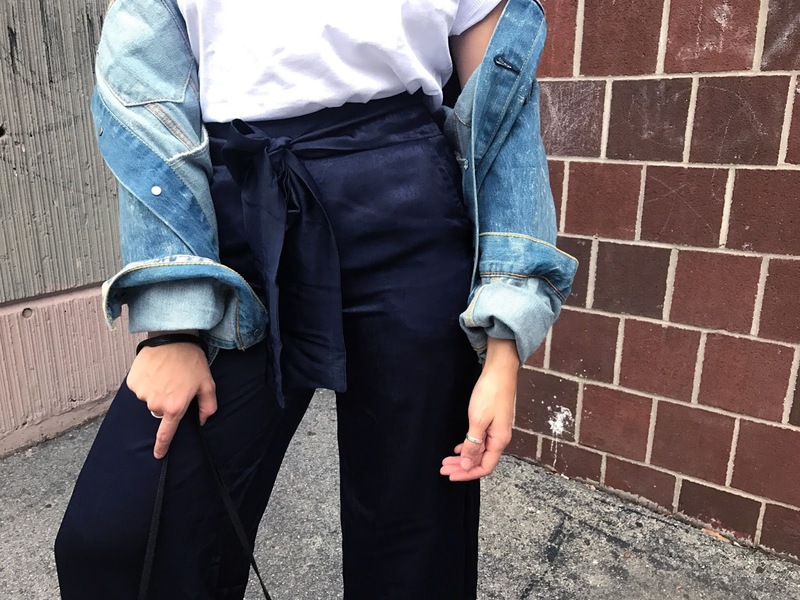 The navy silk sheen and gorgeous drapery elongates my body and the belt emphasizes my waist — flattering my figure and making it easier to do my signature tomboy chic style. Not a graphic tee person? 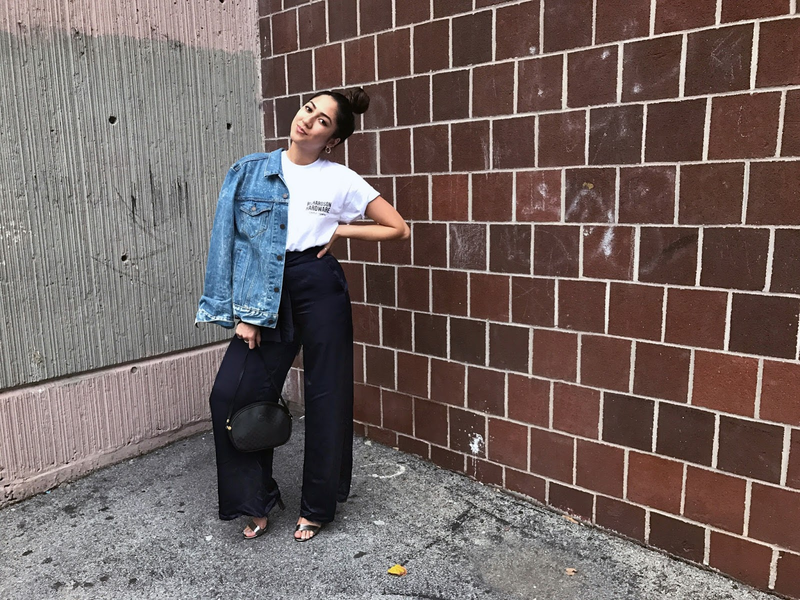 Try pairing wide leg pants with a smaller crop top or a bodysuit. Going on a date or a night out with your girls? Pair the trousers with a silk camisole and strappy heels.